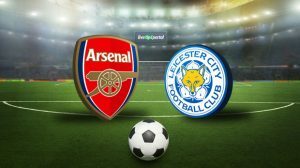 Fresh from finishing way below what they had set for themselves last season, Arsenal and Leicester will be kicking off the 2017/2018 season with one thing on their minds, to start off on a good footing. After a 5th position finish which marked their worst finish in close to 2 decades Arsenal have the upper hand in this bout, but as the Premier League has proven over the years nothing is ever set in stone until the final whistle. Leicester finally made the decision to hand the reigns to Craig Shakespeare who steered the team from the relegation zone last season with impressive displays. With the arrival of Vicente Iborra and Harry Maguire as well as Ulloa and Vardy committing their futures to the club all seems to be going well so far. As to how the two teams will line up on 11th next month little can be made of that since the transfer window is still fresh off the mill. A lot of formation changes are expected from the Leicester side, Craig Shakespeare will now try to cement his style into the team now that he has the time and the authority to decide what is to be done. Jamie Vardy is still expected to be their front man with Wes Morgan and Huth bringing up the rear. With talk of Hector Bellerin being courted by Barcelona it is yet to be known who will replace him if that goes through but as it stands he is the favourite to start at the back right with Nacho covering the left flank. Laurent Koscielny and the new signing Sead Kolasinac are expected to start at the centre. With wild transfer rumours still surrounding Sanchez and Ozil it’s hard to tell how they will line up in the midfield but the two are sure starters for the opener if they will still be wearing the Arsenal jersey come the start of this coming season. As for the betting predictions, this will be a comfortable Arsenal win since they rarely lose an opening match at their home tuff.